Front Range Pest Control of Fort Collins takes pests very seriously! Our expert pest control technicians will design a treatment plan specifically for your pest situation. Our Pest Control Services include but are not limited to ants, bed bugs, insects, mosquitoes, beetles, flies, wasps, stinging insects, roaches, spiders, mice, rats, voles, and most other common pest in Colorado. 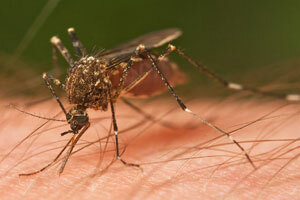 The Spring and Fall brings intrusion of bugs and other insects that come from lawns, trees and other plants. When a change in season occurs, insects sometimes seek shelter in cracks, crevices and voids to survive. They easily become pests inside structures and can be very annoying to deal with. If insects or other pests are seeking shelter where they are not wanted, give Front Range Pest Control of Fort Collins a call at 970 203-1911. Front Range Pest Control of Fort Collins provides seasonal pest control services. Each visit is customized to your home or commercial building and will fit the needs of the property owner. Stop the invasion of ants, beetles, spiders, wasps, yellow jackets and other pests that may enter your home or business from the outside. Front Range Pest Control of Fort Collins' exterior pest barrier will prevent these unwanted critters and bugs from migrating into your home or business. Our summer service will target seasonal stinging insects and prevent them from nesting in or around your home or business and under your decks and patios. We will also pay special attention to areas where fleas, earwigs, spiders, cluster flies and ants invade or nest and treat them at the source. During the Fall season is when insects and rodents enter your home. This service is concentrated on the outside of your home to keep pests from entering during the winter season. An Inside Inspection is made as well to determine what preventative treatments will be used for both insects and rodent activity that we encounter. Our winter service will concentrate on the interior areas of the home and identify any pests that have entered. Treatments will be used for the pest activity that is encountered. Front Range Pest Control of Fort Collins, Inc.